Present Bodies, curated by LRC Studios, brings together the talents of both emerging and established artists and highlights editions produced by Ribuoli Digital. 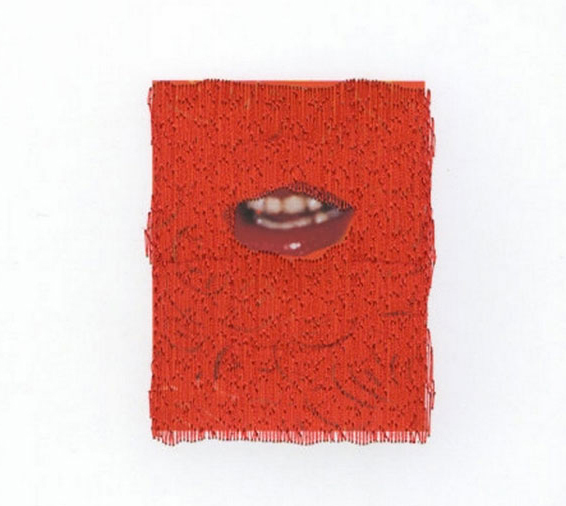 The exhibition features prints, editions and unique works by artists: Tauba Auerbach, El Anatsui, David Byrne, Lisa Di Donato, Stefan Gunn, Jean-Pierre Hébert, Amber Heaton, Eric Juth, Jennifer Mahlman, Caleb Nussear, Beverly Semmes, Do Ho Suh and Amanda Thackray. This exhibition is organized in conjunction with New York Print Week. Exhibition programming includes an opening reception on Thursday evening and an exhibition brunch and studio tour on Saturday afternoon. These artists are brought together by their interest in the persistent resonance of the body -- as seen in a collection of quotidian objects, discarded material/data, patterns found in nature and architectural blueprints -- a body expressed either through its presence or absence. For these artists a body can refer to a physical structure in which the sum of its parts equals an organic, greater whole. It may also act as a vessel which gives a physical form and framework to data sets, so that these abstract networks can be better grasped. The body is a permeable and absorbent structure that ingests information by means of experience and through the environment. The organs, systems and tissues that make up our physical bodies express a reflexive mimesis with the larger socio-political structures in which we reside. At its core, the genesis of a body stems from a simple, natural geometry that recursively builds in complexity and pattern, a flare plane that folds. For more information or to schedule a viewing contact info.lrcstudios@gmail.com. El Anatsui is an internationally acclaimed artist who transforms simple materials into complex assemblages that create distinctive visual impact. He uses resources typically discarded such as liquor bottle caps and cassava graters to create sculpture that defies categorization. His use of these materials reflects his interest in reuse, transformation, and an intrinsic desire to connect to his continent while transcending the limitations of place. His work can interrogate the history of colonialism and draw connections between consumption, waste, and the environment, but at the core is his unique formal language that distinguishes his practice. These limited edition prints by El Anatsui were published by Benefit Print Project in New York City and made in collaboration with Andre Ribuoli and Jennifer Mahlman-Ribuoli of Ribuoli Digital. All of the artworks in the variations contain hand-sculpted paper elements secured with copper wire, making each one unique. The paper elements also make each artwork volumetric. In keeping with El Anatsui's ongoing interest in making works of art that explore the possibility of there being more than one front, the variations reveal two distinct sides. Furthermore, they have multiple orientations, which is a feature that connects them to the celebrated works of his that are made from liquor-bottle caps. To create Compression System (Marble), Tauba Auerbach selected a slab of marble that was scanned. The photographic image of the marble was then printed on the front and back of a large sheet of Japanese paper. The printed sheet was then CNC-scored with a precise artist-designed line pattern and then hand-creased and hand-folded. The design folds in such a way that the shape and size of the paper becomes compressed and distorted, but the overall piece remains flat. 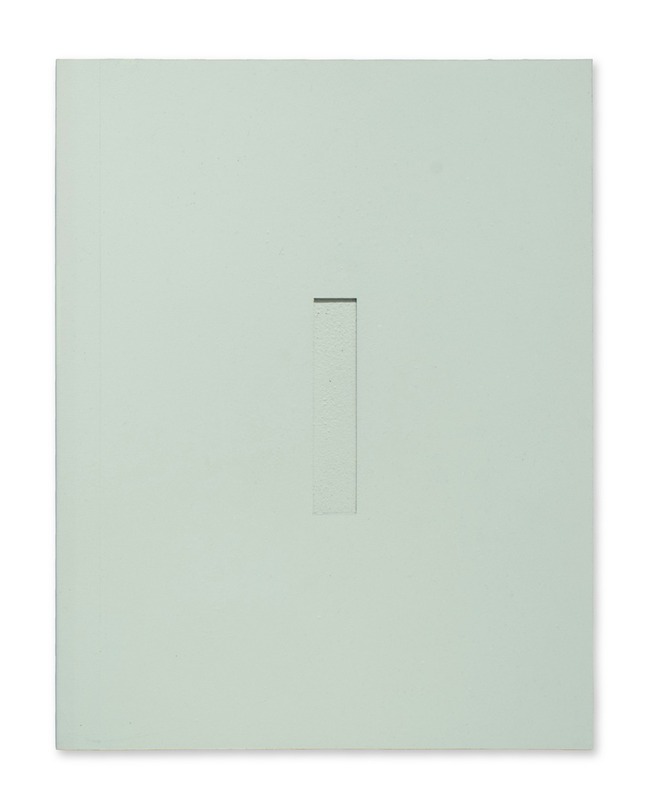 In the artist’s words, “One might think of it as a physical version of a jpeg, or some other digital form of compression. After studying the work of origami tessellation masters, I designed this crease pattern, which actually can be collapsed in a variety of different ways.” Each print requires approximately eight hours to fold by hand. 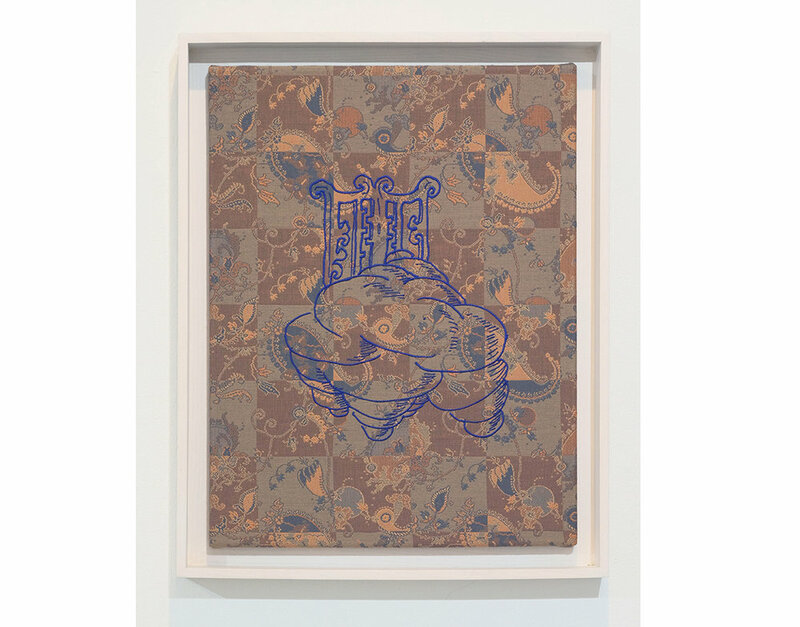 Once folded, it is placed in a shaped frame, designed by the artist, and hung on the wall at an exact angle specified by Auerbach. When viewed in this way, Compression System (Marble) oscillates between flatness and three-dimensionality, ultimately transcending both its labor-intensive process and material; a profound and beautiful abstract work, rich with layered meanings and associations. This limited edition work by Tauba Auerbach was published by the New Museum in New York City and Lisa Ivorian-Jones and made in collaboration with Andre Ribuoli and Jennifer Mahlman-Ribuoli of Ribuoli Digital. David Byrne’s 2006 exhibition Furnishing the Self - Upholstering the Soul at Pace/MacGill featured several of his unique chair designs. Bringing together constructed chairs with Byrne’s original drawings for their design, the exhibition also featured this group of Byrne’s imaginative sketches embroidered onto upholstery fabric and released as editions by PaceEditions (production completed by Andre Ribuoli and Jennifer Mahlman). The exhibition coincided with the release of Byrne’s book Arboretum, published by McSweeney’s. Co-founder of the innovative rock group Talking Heads, Byrne has been involved with photography and design since studying at the Rhode Island School of Design and the Maryland Institute College of Art. His ability to create extraordinary visual and sensory experiences out of the otherwise ordinary and mundane informs much of this work. In Envisioning Emotional Epistemological Information (2003), Byrne adapted the usual business applications of Microsoft’s Powerpoint presentation software for artistic purposes, producing a series of short films and animated sequences that explore the program’s creative possibilities. For his Playing the Building installation (2005), he converted a Stockholm factory into a giant musical instrument by vibrating its beams, pillars, and pipes. 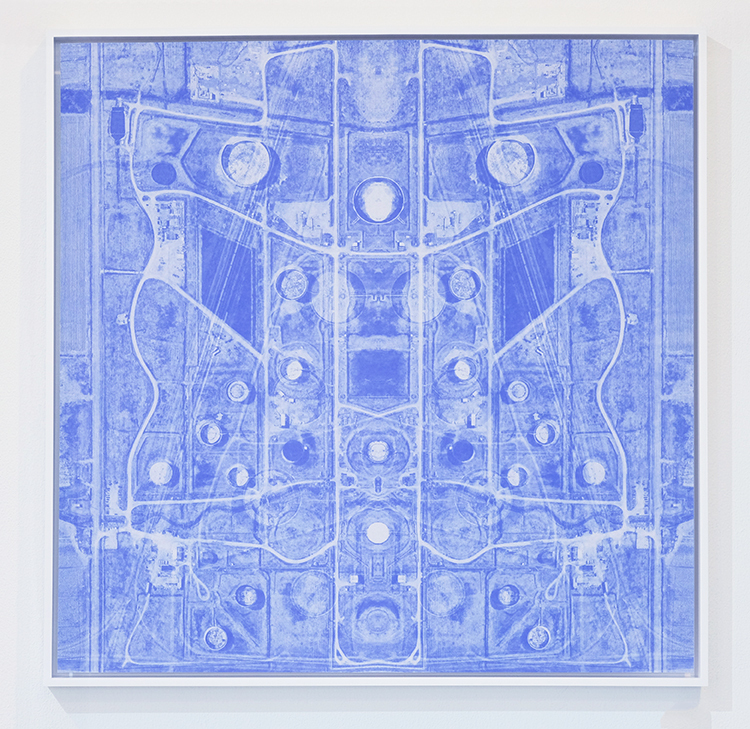 Byrne has been exhibiting his work since the mid-1990s in major solo shows and public art projects around the world. His multimedia art has also provided the material for several books published by Byrne in recent years, including Arboretum (McSweeny’s, 2006); Envisioning Emotional Epistemological Information (Steidl/PaceMacGill, 2003); David Byrne Asks You: What is It? (Smart Art Press Pinspot # 13, 2002); The New Sins (McSweeny’s, 2001); Your Action World (Chronicle Books, 1998); and Strange Ritual (Chronicle Books, 1995). Generated utilizing aerial satellite imagery collected through Google Earth these cartographies depict territories that are also complex autonomous organisms that feed on themselves, existing without external input. Within these sites are a confluence of nature, topography, bodily organs, industrial networks and architectural systems whose interrelationships form a whole from which the individual elements derive their meaning. 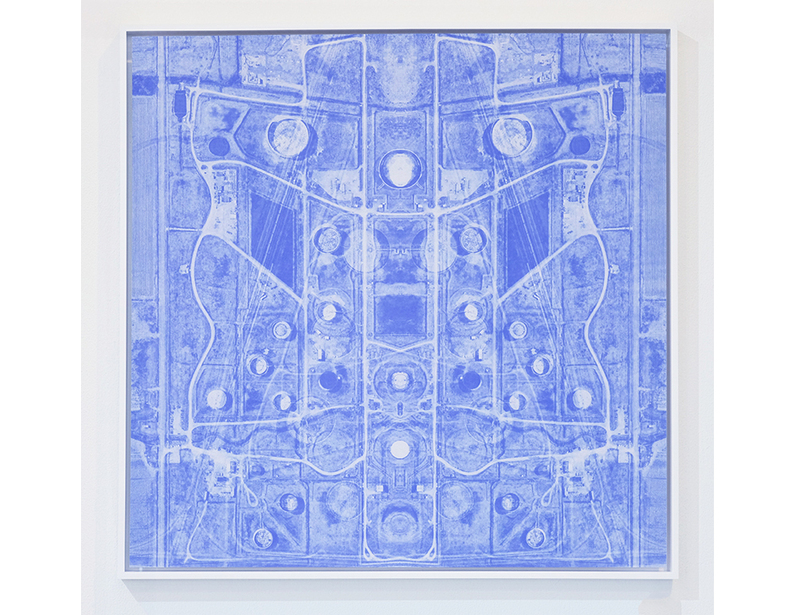 Rendered in the obsolete reprographic diazo (blueprint) printing process once used by engineers and architects, the sites are situated between photographic representation and imaginative drawing. This central ambiguity of where the sites belong to poses the question of whether these are depictions of actual or mental places; whether our environment is a psychological dictator or if space is an internal creation by our consciousness. Thus the sites are both potentials for exploration as well as a metaphor for the artist’s mind. As our perceptions shift, the spaces we occupy too are necessarily transient. An implication of the diazo print medium is reckoning with its unstable nature. Without intervention the diazo prints undergo a transformative and interactive process, absorbing environmental factors to gradually change in color, contrast, and tone, exploring the visibility of time through the unavoidable conflict of idealism and impermanence. Signals and membranes merge and change. Brains float in space, surrounded by unintelligible flashing advertisements. Creeping flickers linger around the edges. Pixels in a campfire purr with satisfaction, while a fleet of caterpillars crawls across the screen. I make drawings to envision these phenomena as they occur. A lot of my visual memories are pixel-based, and screens now claim a lot of real estate on my optic nerve. 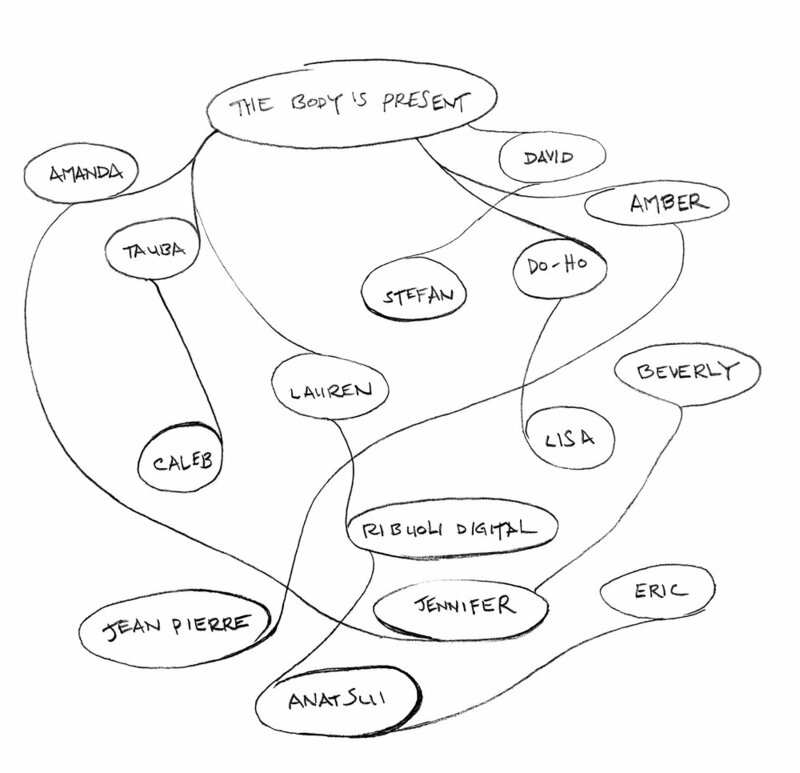 I generate drawings in a pixel graphics program, use my PC to record myself drawing, and playback the recordings to grow the drawings. I experiment to reverse engineer auto-fill algorithms and glitches that arise from processing images. The work I've included in this portfolio is a series of screenprints and one sculpture made from these drawings, executed over the past three years. The translation from a bitmap of pixels to screened stencils maintains the hard edges from the drawings. I print with inks that are visually active: florescent colors, interference pigments, surface effects, and metal leaf. The final work is a physical representation somewhere between a microscopic view of the cornea and the screen of your phone, of what happens right after you close your eyes. 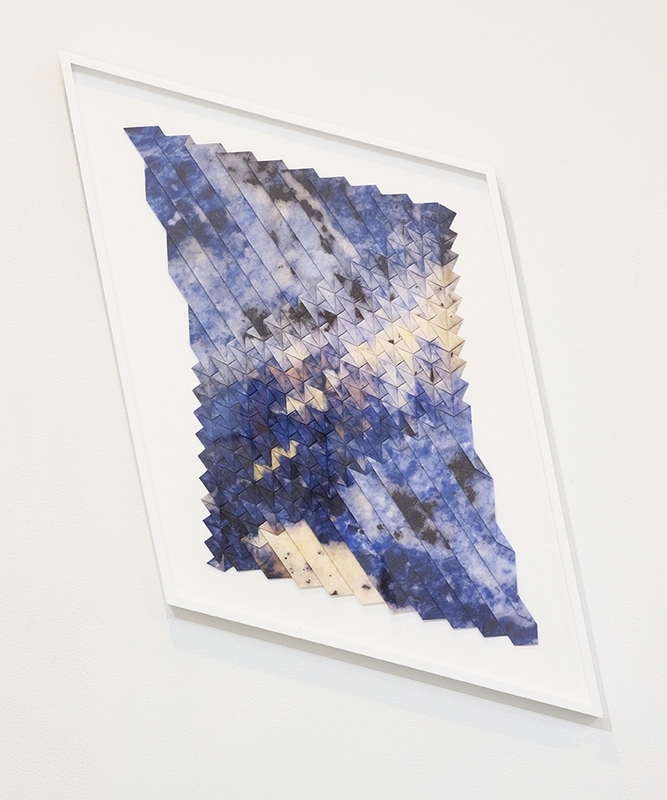 Amber Heaton uses patterns and systems found in nature to compose drawings, prints, and installations. Her work has been exhibited at The Bronx Museum of the Arts, Parrish Museum of Art, International Print Center New York, Highpoint Center for Printmaking, and other venues internationally. 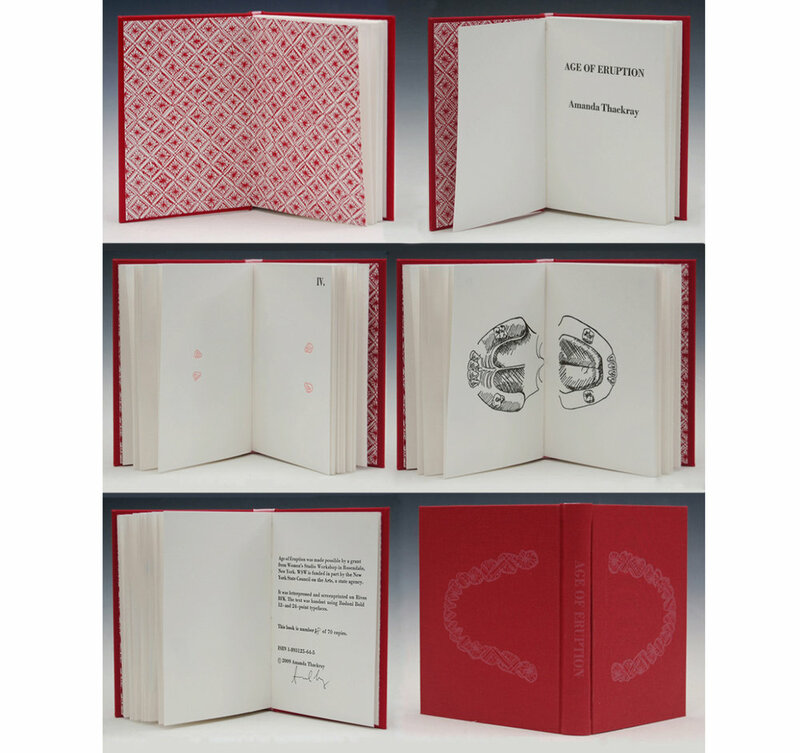 In 2016, Heaton participated in the AIM Program at the Bronx Museum of the Arts, and she is currently a scholar at the Center for Book Arts. Heaton received her MFA from the Rhode Island School of Design in 2012, and her BFA from the University of Utah in 2009. She was also awarded a Fulbright Fellowship in South Korea from 2001 – 2003. Heaton lives and works in Brooklyn, NY. In my work, I seek equilibrium, a sense of balance in systems embodying both moments of tension and calm. Nature is a model for me. The natural world finds the most elegant, efficient, and sometimes violent paths to express beauty and harmony. I investigate cyclical patterns that shape how we experience light and time, such as the moon moving around the Earth, the Earth moving around the sun, and the sun moving through the universe. These patterns form the basis of my compositions. I make drawings, prints, sculptures, and installations. Using pattern, line, and color, I build works that play with shifting scale, symmetry, and abstraction. Visually, I try to elicit momentary shifts in optical perception that create vibration, movement, and depth. I work through ideas systematically. The systems I build are influenced by our increasing cultural dependence on data, number systems, and the Internet to organize daily thoughts. This dependence on technology makes me feel a fading sense of connection to the world around me. My work is an attempt to reclaim a sense of the mysterious that abounds in nature. Hébert lives and works in Santa Barbara, California. He is a pioneer in the field of computer art from the mid-1970s on, merging traditional art media and techniques, personal software, plotters, and custom built devices to create an original body of work. He was the recipient of Pollock-Krasner Foundation and David Bermant Foundation awards. In 2012, he received the ACM SIGGRAPH Distinguished Artist Award for Lifetime Achievement in Digital Art. This first series of twenty-four has been expertly and patiently put together by artist and printer Jennifer Mahlman. It will only be thanks to her taste, diligence and persistence that the actual prints have come to life and look as good as they do. A few larger related prints have been published in an edition of six by Binary Press (New-York) in the fall of 1999. As for me, I consider the “Views” an on-going project. Although this portfolio remains aesthetically very different from my main line of work, I shall continue these explorations of MAX BILL’s Single Theme and other themes as well. The teachings of such experiments are now invaluable: they have become an indispensable path to my own progress. Screenprinted paper pulp and stenciled etching on paper, Edition of 5, 30" x 44"
Cut and sewn letterpress-printed paper inside found glass vials, letterpress labels, handmade steel holder, tweezers. Ranging from drawing, painting, and collage work, to traditional printmaking including letterpress and lithography, unconventional book objects and sculptural installations, Amanda Thackray’s practice is rooted in a sincere love of paper. 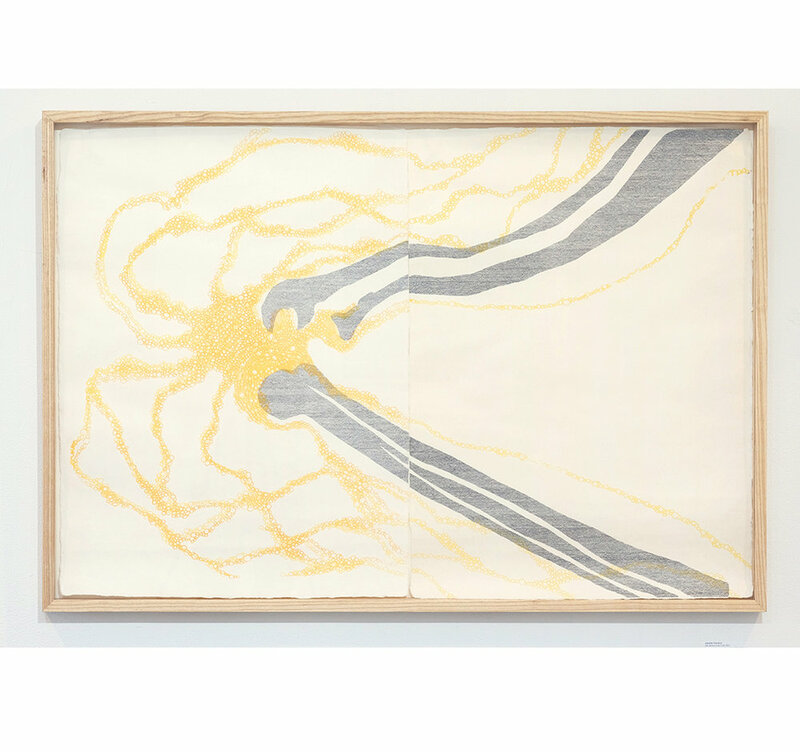 Interested in paper as a conceptually malleable, almost alchemical surface, she utilizes it to create work that connects the human body to the world around it. Inspired by a deep connection to the processes of science, her materials and structures are often cellular and mathematical at their core. As an object-maker, she is foremost interested in accumulation, stringing together and layering materials and actions that mirror each other. The resultant composite structures are objects and drawings that are built from a single moment reenacted thousands of times. It is this indulgence in process that drives much of her work. Amanda Thackray received her MFA from the Rhode Island School of Design and her BFA from Mason Gross School of the Arts at Rutgers University. She has participated in national and international artist residencies, including a year-long residency at the Center for Book Arts in New York, a 2013 residency in the High Arctic as part of the Arctic Circle Program. Her work is in over a dozen public collections including the Alexander Library Special Collections at Rutgers University, The Center for Book Arts, NY, Mediatheque Andre Malraux, Strasbourg, France, Yale University, and The Library of Congress. Jennifer Mahlman grew up taking art classes in public school and using her father’s old art supplies to “make art” as a child growing up in suburban Ohio. She was also taught to sew by her mother and to bake by her grandmother at an early age. Always interested in “making stuff,” Mahlman grew up to become an artist, earning a BFA in printmaking and photography from the University of Toledo and both an MA and MFA in printmaking from the University of Wisconsin-Madison. Living and working in New York City, Mahlman has returned to the childhood joy of “making stuff” by incorporating her creative and artistic talents into baking and decorating custom designed (and delicious) cakes and confections. She is also uses her confectionery, sewing and crafting skills in the creation of artworks that look like they might taste good. Mahlman is a co-founder and master printer at Ribuoli Digital where she shares her love of “making stuff” with other artists through the collaborative process. She has also taught various printmaking courses at Montclair State University and William Paterson University in New Jersey. She has been a member of the National Association of Women Artists, the New York Society of Women Artists, the Southern Graphics Council and the Midwest Print Alliance. Mahlman’s print, photo and sculptural works have been exhibited in galleries and universities across the United States and internationally. Caleb Nussear is an American artist living in New York City. He holds a B.A. in Philosophy and Religion from Bard College at Simon’s Rock and an M.A. in Social Sciences from the University of Chicago. Mr. Nussear’s work is tinged conceptually with his early education in philosophy and religion. Overall his work suggests a higher dimensional order and the equivalency of the human figure with a complex recursive geometry. Further influences are the natural landscape as it is found, an asymptotic “approach” to the work, and the sensuous and tensile drawn line. He is comfortable working within the boundaries of drawing, sculpture, performance, and installation; perhaps his favorite method of working is in project-based collaborative ventures with fellow artists and thinkers across a wide range of disciplines. 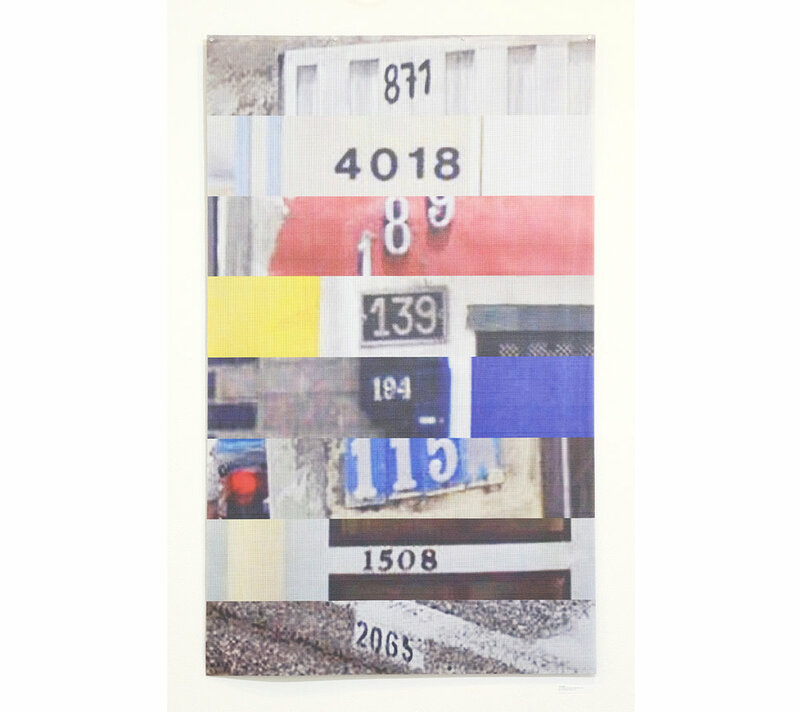 This World House Editions print by Beverly Semmes was made in collaboration with Andre Ribuoli and Jennifer Mahlman-Ribuoli of Ribuoli Digital. Part of the 2004 Exit Art portfolio: Six by Four, Karma Juggler is based on one of Suh’s drawings. 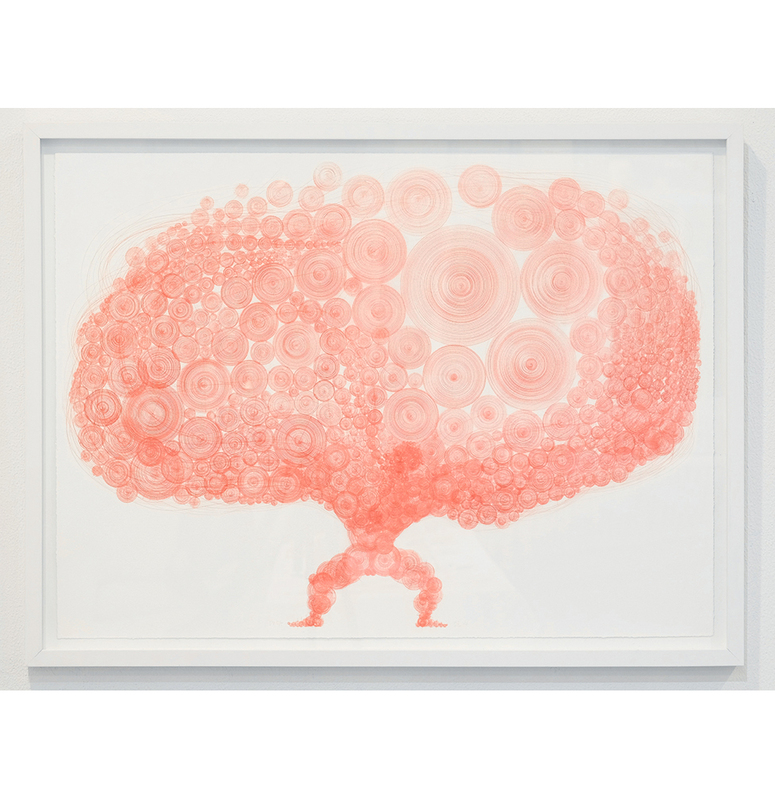 The print captures the tactile quality of the red lead used to create the original drawing. And the piercings in the center of the concentric circles reveal the tool used to draft much of the image -- a drafting compass. Do Ho Suh (b. 1962, Seoul, Korea; lives and works in London and Seoul) works across various media, creating drawings, film, and sculptural works that confront questions of home, physical space, displacement, memory, individuality, and collectivity. Suh is best known for his fabric sculptures that reconstruct to scale his former homes in Korea, Rhode Island, Berlin, London, and New York. Suh is interested in the malleability of space in both its physical and metaphorical forms, and examines how the body relates to, inhabits, and interacts with that space. He is particularly interested in domestic space and the way the concept of home can be articulated through architecture that has a specific location, form, and history. For Suh, the spaces we inhabit also contain psychological energy, and in his work he makes visible those markers of memories, personal experiences, and a sense of security, regardless of geographic location. His work is in numerous international public and private collections, including The Museum of Modern Art, New York; Whitney Museum of American Art, New York; the Solomon R. Guggenheim Museum, New York; Los Angeles County Museum of Art; Walker Art Center, Minneapolis, MN; Tate Modern, London; Leeum, Samsung Museum of Art, Seoul; Art Sonje Center, Seoul; Museum of Contemporary Art, Tokyo; Mori Art Museum, Tokyo; and 21st Century Museum of Contemporary Art, Kanazawa, Japan. I print the images on a vinyl mesh material, which is typically used to obscure construction sites, because its perforated surface evokes the shimmer of a computer monitor. I was initially drawn to the generic sense of “placelessness” that imbued these odd pictures of the world, which, more or less uniformly, displayed street addresses. However, other features from the domain of humans and nature occasionally infiltrated their frames: flowerpots, tree branches, curtains, sedans, and other things that robots would have little use for. Yet beyond these incidental encroachments and their peculiar status as documentary images, I also became increasingly fascinated by the ways in which these images figured into digital labor and automation; cultural production and corporate hegemony; mass surveillance and the erosion of privacy; and AI. In this latter context, where the reCAPTCHA images interface with society, culture, and technology, they acquire an artifact-like quality and the folder that I store them resembles a digital excavation site.